Although lawsuits are common civil disputes, rarely are people completely familiar with the entirety of the process. Though they are not always pointed out in media coverage of litigation, there are distinct steps of a lawsuit that are crucial to follow. Lawsuits can be complicated so it is important to familiarize yourself with the legal proceedings if you are considering civil action. Similarly, some of the language used during this process is dense and confusing, so gaining a grasp of the language used can help in understanding the lawsuit as a whole. Lawsuits go through the following steps: complaint and summons (also known as pleadings), discovery, trial, and a possible appeal. However, because a lawsuit can be settled at any time during the process, some cases never make it to trial and have the alternative of arbitration instead. This is the initial step in a lawsuit (commonly referred to as ‘filing a lawsuit,’) in which each side of the dispute explains their particular viewpoint. It begins with the complaint, a document that presents the claims made by the plaintiff against the defendant. The person or entity filing the lawsuit is known as the plaintiff, and the defendant is the person or entity being sued. After the complaint is delivered to the defendant, the defendant is given an amount of time to respond to and explain their answers to the complaint. Importantly: if a defendant does not respond to a complaint, it is likely that the court will deem the facts alleged by the plaintiff to have been admitted by the defendant, and enter a ’default judgment,’ on behalf of the plaintiff. During this time, relevant information about both sides of the case is gathered to accumulate as much as possible to prepare for the trial. 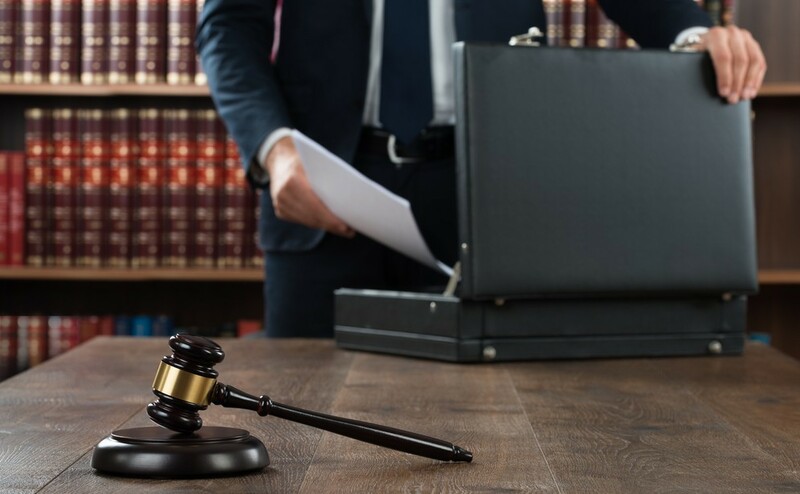 Discovery includes three common forms: questions or interrogations asked of people related to the lawsuit, the production of documents by both the plaintiff and defendant, and depositions. Discovery is typically the longest part of the process, because there is no prescribed duration for discovery, and it lasts until right before the trial begins. Not all lawsuits reach trial, because parties can voluntarily resolve their issues even after a lawsuit is filed. Many times, parties are forced by the court to settle in arbitration before a trial ever begins. However, if the issue is not resolved outside of court, the lawsuit will go to trial. Either side of the issue can request a jury to be present, although juries are not always requested or required. During the trial, the attorneys for each side cultivate an argument through their presented information and the judge or jury reach a decision. After the judgement has been made, either of the two parties can appeal the decision. However, appeals are uncommon, and appeals courts are not often willing to overturn the decision of a lower court. The above is a brief outline of a civil lawsuit’s proceeding. State laws and procedural rules will affect the timing and actions in each lawsuit differently, because no two cases are exactly similar. Civil litigation attorneys provide legal insight and counseling throughout the process. Here at Matthew L Collins Law Office, we will stand beside you at every step of the legal process and provide you with the direction and support that you need. Stop by today at my office in Lawrenceburg or contact me if you are located in Central Kentucky, including Anderson, Woodford, or Fayette County.